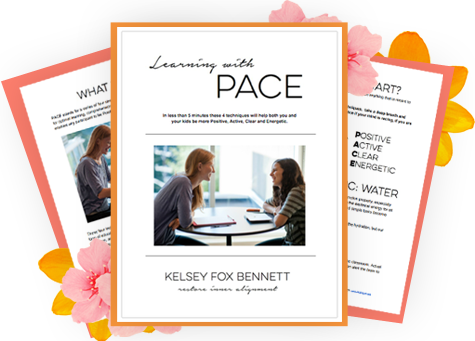 In Learning with PACE I will take you through a series of four simple techniques (for ages 3+) that prepare the brain and body for optimal learning, comprehension, awareness, and engagement. In less than 5 minutes these 4 techniques will help both you and your kids be more Positive, Active, Clear and Energetic! I personally used these four simple techniques before and during every test, sports game, and presentation during my schooling. To this day, these four simple techniques are an integral part of my daily routine. They simply and effectively help all ages help all ages be their best.